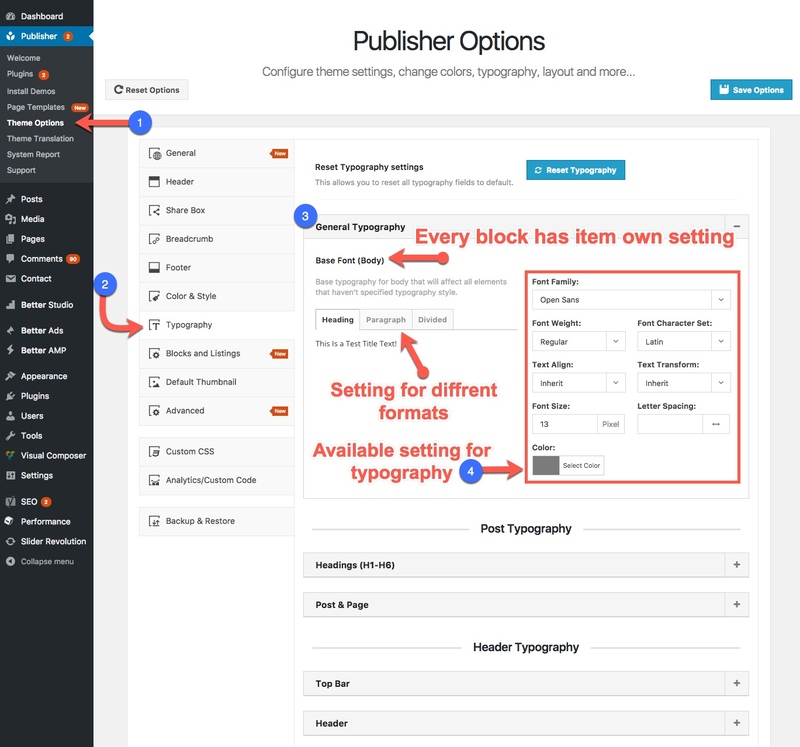 In theme panel you can easily manage typography of Publisher content blocks. 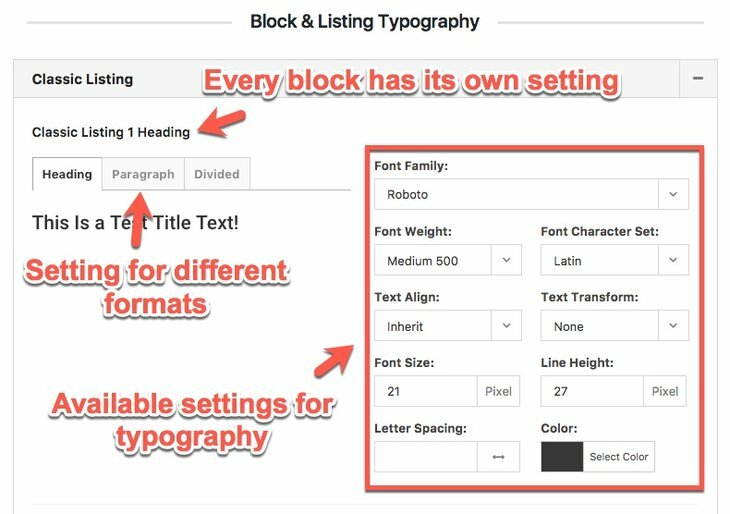 Setting items are the same in all blocks typography but every block has its own panel. In theme panel go to Publisher → Theme Options → Typography → Block & Listing Typography. Here you can see a list of all the blocks that have typography setting. Font Family: Select a font from existing ones or upload a custom font. If you don’t know what above options mean, read Typography Options. By changing above options, left hand-side text changes and shows you current typography.